This is one of three reviewers that awarded 5 stars from Readers’ Favorite. Read the reviews by Jeffrey Brooke-Stewart and Kathryn Bennett. Our roots aren’t always what we assume them to be. Such was the case with Clementine “Lem” Dance, who believed that James Walter Dance was her real father and that there was a mystery behind why he never talked about her mother. In Baby Rocket, Stephanie A. Smith chronicles Lem’s search for the truth about her mother and why her father had kept the truth from her. After her father dies of a heart attack, Lem discovers files about an abandoned child on Cape Canaveral in 1966. She soon learns that she was that child and that her father had been piecing together the mystery of what happened to her mother for years. A women’s historian who is writing a book about Mercury 9, she knows how to track down the information she needs to finish piecing together the mystery of her who her real parents are. Her journey takes her from California to the Tri-State area to Florida and finally Martha’s Vineyard, but it also takes her on an emotional ride as she searches for answers to the questions that have suddenly overtaken her life. Baby Rocket presents a very frightening realization to a young woman whose life is completely turned upside down. Stephanie A. Smith has done an excellent job of drawing upon the assault of emotions that would engulf a person who just discovered that nothing in their life was what they had believed it to be. Full of drama and suspense, the mysterious intrigue of searching for the truth behind where she came from grips the reader and holds on tight. 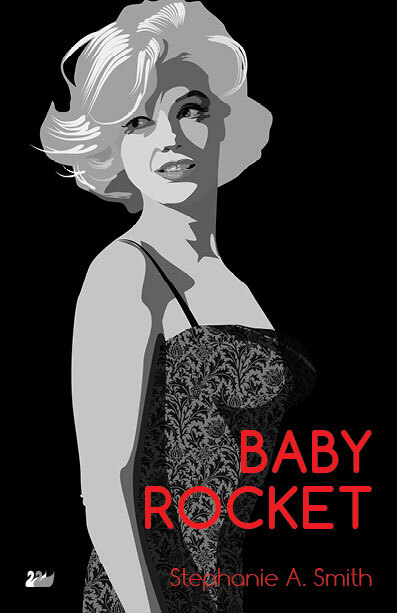 Tragic, suspenseful and realistic, Baby Rocket will keep you turning pages as you sink deeper and deeper into solving this mystery of emotional proportions.